"Most New Zealanders watched David Lange contest and win the 1985 Oxford Union debate, arguing the proposition that 'nuclear weapons are morally indefensible' with a mixture of pride and astonishment. After decades of knowing our place, and several years of government by homunculus, suddenly we had a Prime Minister who could stride the international stage with insouciance. And briefly, we seemed to matter. Although New Zealand's nuclear–free policy did not become law until 1987, it was integral to early years of the fourth Labour government. The 1984 snap election that made Lange Prime Minister was called by Robert Muldoon when National MP Marilyn Waring withdrew her support for her party over the issue of nuclear ship visits. Labour won the election with a nuclear ban as a flagship policy. 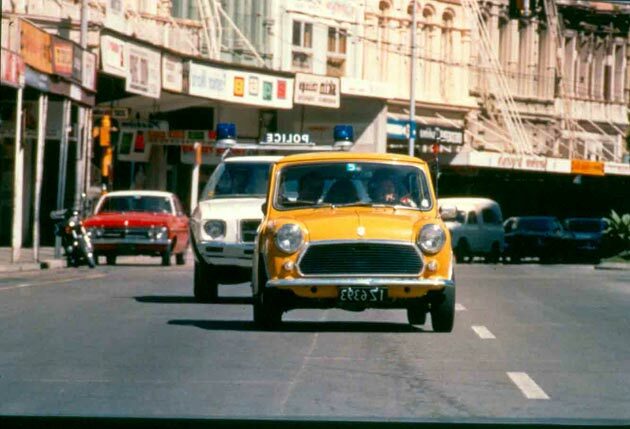 The policy was popular among New Zealanders, but not without cost. Our relationship with the US deteriorated in the early weeks of 1985. On the same journey that took him to Oxford, Lange, four days before the debate, met with a US State Department official who outlined the retaliatory measures that the US would be taking against New Zealand. The ANZUS alliance of which New Zealand had been part since 1951 was effectively cancelled at that meeting." This is the introduction to the transcript of the Rt. Hon. David Lange's 1985 Oxford Debate. The transcript is copyright to Public Address. It was prepared by Russell Brown and Fiona Rae, with the consent of David Lange. Thanks are due to Radio New Zealand's Sound Archives/Nga Taonga Korero (File: Media Numbers T4705 to T4708), Infofind, the Parliamentary Library and Barry Hartley. "In 2007 NZ On Air initiated the NZ On Screen project as an integral part of its digital strategy. Since 1989 NZ On Air has funded over 15,000 hours of local television production. Much of this content, as well as thousands more hours supported by broadcasters, film investors and other funding sources, is not easily accessible to the public. NZ On Screen is unlocking the treasure chest, providing access to the wealth of television, film, music video and new media produced in NZ, along with knowledgeable background information." Fig.1 Murphy, G. (1981). Goodbye Pork Pie. Aotearoa New Zealand, NZ Film. Fig.3 Ballantyne, A. (2009). The Strength of Water. Aotearoa New Zealand, NZ Film. "Screen Hub is the daily email News and Jobs service for people working in the New Zealand film and television industries." Fig.1 Katie Wolfe, Aotearoa New Zealand 'This is Her', short film (starring Mia Blake).